61/13 (p), 61/14, 61/15, 61/18 (p), 61/19 (p), 61/20, 62/11 (p), 62/16 (p). Newgrange comprises eight blocks located ~ 300 kilometres offshore south west Ireland. 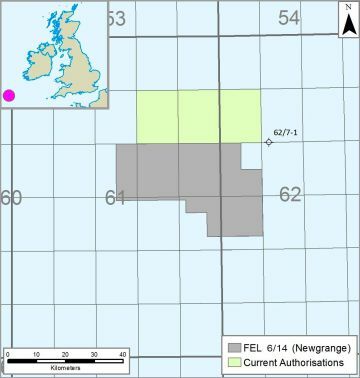 The exploration potential of the basin has so far been tested by the Esso IRL62/7-1 well (1982). The well results established the area as a petroleum province. The blocks are covered by 2D data including a long offset proprietary survey acquired in 2006. 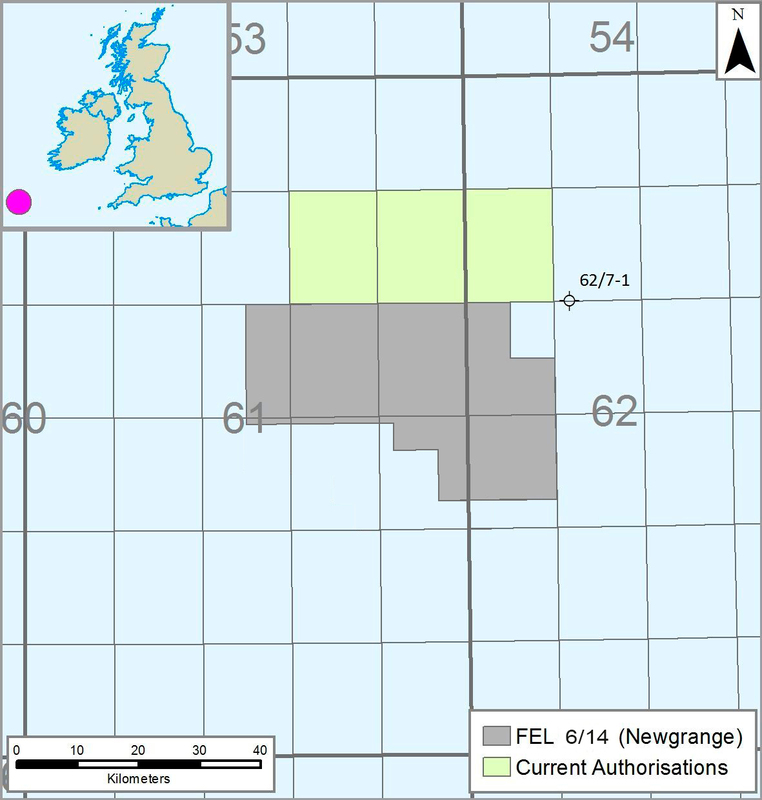 A large, four-way dip structural closure prospect called Newgrange has been identified in Cretaceous carbonates overlying a basement high.